A father’s rights depend upon whether he is the legal father, the biological father, or both. For example, you and your girlfriend have a baby, you are living together, and everything is fine for a while. Then something changes, the relationship goes south. Maybe you split up, and now you are having problems seeing your child, the most common scenario I see. In my practice, I have represented clients on both sides of this situation. In this example, a father’s rights without paternity established are very few. You will be surprised and shocked to learn you have few rights to your child. Being the biological father is not enough, you must also be the legal father to have full parental rights. One BIG right you have is the right to establish paternity, even if the mother refuses to cooperate. You can be made the legal father of your child by a court order. Unfortunately, until then you are somewhat out of gas. 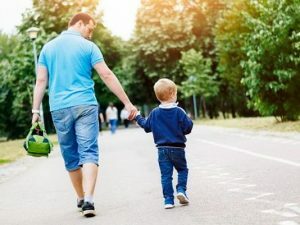 Without the establishment of paternity, the mother can cut off access to your child (very common), even if you have been involved in the child’s life since birth and helped to raise the child. So here you are, you are not married to the mother of your child, the mother is not going to marry you now because your relationship is over, the mother is not going to acknowledge paternity and the Department of Revenue is not coming after you for genetic testing, what do you do? At this point, your Father’s rights without paternity having been established are few. So here is what you do, if you want to see your child and have a role in their life; you must petition the court to establish paternity, time-sharing (visitation) and parental responsibility (the right to make decisions for your child). If your petition to establish paternity, time-sharing and parental responsibility is successful, you will have full parental rights to your child. The Court will enter a Final Judgment (the Court Order) establishing you as the legal father of the child, providing you time to spend with your child and the ability to make decisions for your child.